The Fix Rifle by Q is now available in our store! We’ve had them pre-ordered since they were announced last year and the shipments are finally starting to come in – we only have a couple 308 Winchester The Fix rifles left with 16 inch barrels. The 6.5 Creedmoor Fix rifles are still backordered and should be here soon. 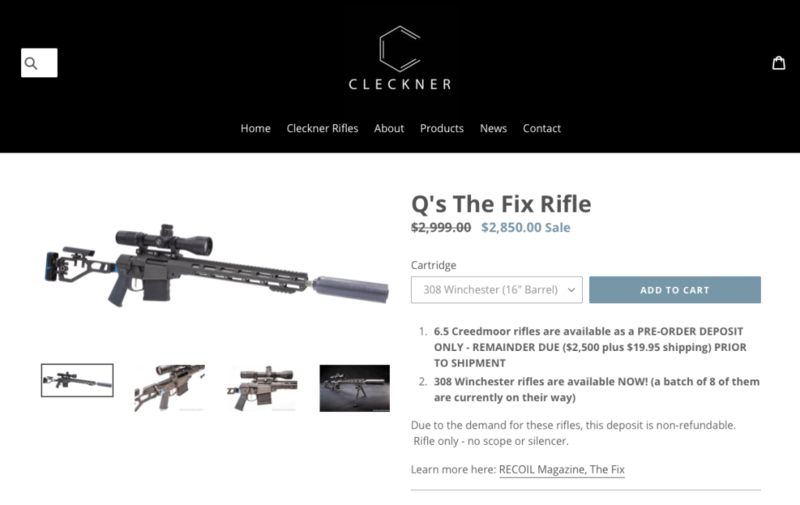 Check out our store to see which Q The Fix Rifle is best for you – if it’s available for purchase/pre-order, we have it! Pre-orders are just that… you place a non-refundable $350 deposit and pay $19.95 shipping. Then, when your rifle comes in, you pay the remaining balance. If the rifle you want shows as available at full price, then it’s ready for you to order today! These rifles are amazing – The Fix rifle is the coolest thing that has come into the firearms industry in a while and we are excited to see what Q makes next.